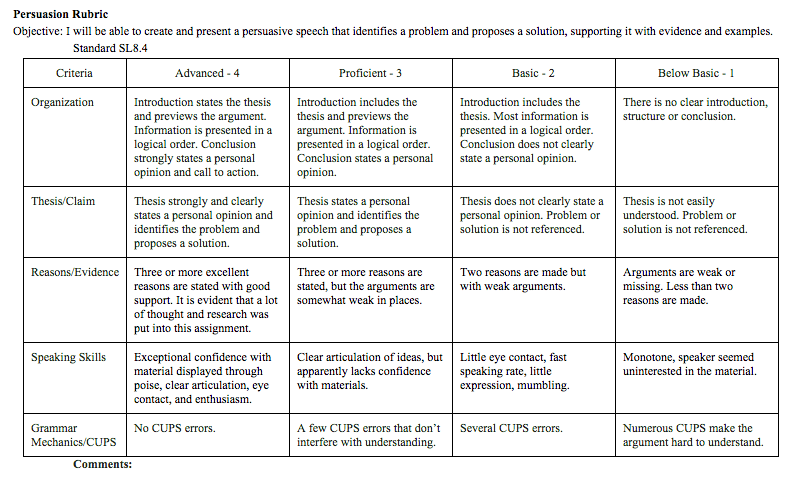 Content Objective: I will be able to create an argument to support a claim by revising my first draft of my persuasive speech so that it meets the rubric requirements. Language Objective: I will highlight the different elements of my essay. Do Now: Get your laptop. Open your essay in Google Classroom and read Mr. Westrup's comments. 1. After reading the steps for building a counterargument, create your own counterargument for your essay that follows the example above. 2. Does your counterargument include beginning and transitional phrases? 3. Does your counterargument present evidence of an opposing viewpoint? 4. Does your counterargument present evidence against the opposing viewpoint and explain why the opposing viewpoint is wrong? ​5. Mr. Westrup will come around and check your counterargument. Exit Slip: Submit your revised draft for feedback on Google Classroom.